NEW DELHI: The Supreme Court disposed of the petitions against two Gorkha Janmukti Morcha (GJM) leaders Roshan Giri and Bimal Gurung, seeking protection to participate in campaigning for the Lok Sabha election 2019 on Wednesday. The top court directed them to approach the Calcutta High Court for interim relief within four days. A bench of Justices Arun Mishra, M M Shantanagoudar and Navin Sinha further asked the high court to expeditiously dispose of the matter, adding that 'no coercive action should be taken till the matter being heard by the Calcutta HC'. The top court had reserved its judgment on the plea on Wednesday. Appearing for the petitioners, former Attorney General (AG) and senior advocate Mukul Rohatgi alleged that the other faction of GJM led by Binoy Tamang has aligned with Trinamool Congress and that there's no “substantial” case against the plaintiffs. Giri told the SC that the Mamata Banerjee-led West Bengal government is "vindictive" towards him and has implicated him in several "bogus cases". Kapil Sibal, appearing on behalf of the West Bengal government, opposed the statements and said that Giri was an absconder and there are several incriminating materials against him. Giri is one of the accused in the 2010 Madan Tamang murder case. Besides this, several other cases are pending against him. According to the police, Gurung is allegedly involved in more than 30 criminal cases over many Gorkhaland protests. 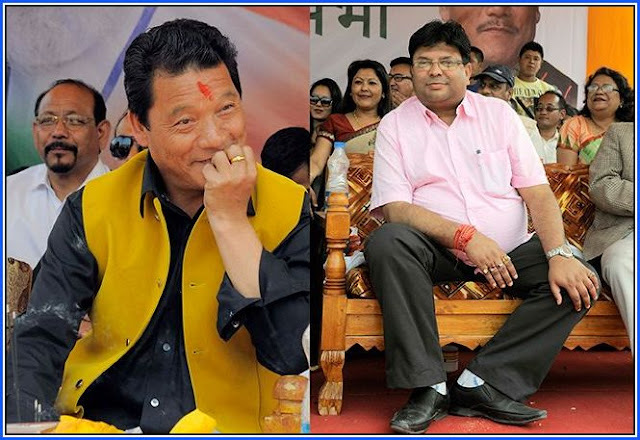 Supreme Court disposed of the petitions against two Gorkha Janmukti Morcha (GJM) leaders Roshan Giri and Bimal Gurung, seeking protection to participate in campaigning for the Lok Sabha election 2019 on Wednesday. The top court directed them to approach the Calcutta High Court for interim relief within four days.